Courtyard Salinas Monterey surpasses other hotels in Salinas, CA with the expanded services and amenities you expect from a Marriott stay. We are a short, scenic drive from beautiful Monterey and Carmel, as well as world-class golf destinations like Pebble Beach and Spanish Bay. Business travelers enjoy being near government agencies and agricultural companies such as Dole and Fresh Express/Chiquita. Leisure travelers are minutes from the National Steinbeck Center, Fisherman's Wharf and Monterey Bay Aquarium. Onsite comfort is our specialty at our Salinas lodging. 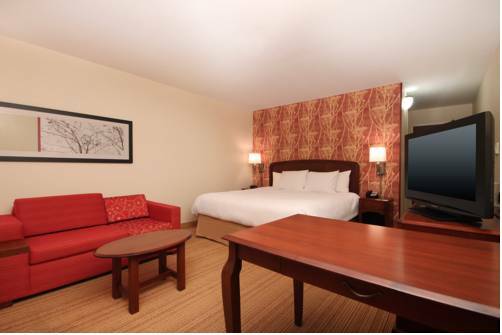 Accommodations feature free WiFi, well-lit work areas and luxury bedding. Our Salinas, CA hotel near Marina State Beach proudly presents, The Bistro, our in-house restaurant featuring Starbucks specialty drinks. Choose the leader in customer-focused hospitality when it comes to hotels in Salinas, CA -Courtyard by Marriott.